Top Ten Tuesday is a feature hosted by The Broke and Bookish. This week, it’s all about book to movie adaptations, of which there’s a slightly ridiculous amount that I am yet to/probably never will see. I’m becoming more and more of two minds when it comes to film adaptations – a very strong part of me is still a “DON’T MESS IT UP THE BOOK IS ALWAYS BETTER” kind of purist, but I also understand how adapting is an important part of adaptations, and not everything that works in a novel will work on the screen. My feelings towards the book were pretty ambivalent, so even with all the hype and excitement that surrounded the release of the film, I never ended up seeing it. I got the impression that it was a fairly decent adaptation from the reactions of fans I know, so I might end up watching it one day. Probably if I’m on a plane and it’s one of the movies they’ve got, or if a friend were to lend it to me. I kinda feel like I wouldn’t go out of my way to watch it, but if the opportunity presented itself, I wouldn’t avoid it. Kind of ironically, I actually own the movie tie-in version of this book. I don’t really remember If I Stay being advertised all that much when it was released here, and although I was aware of it, at that stage I hadn’t read the novel, so I didn’t pay all that much attention. I might get around to seeing it someday. I did enjoy the novel, so I’d be interested to see what the movie’s like. I actually really want to see this adaptation. The only reason I actually knew that Me and Earl was being adapted into a film was because I bought the movie tie-in version of the novel, but after reading it and enjoying it, I think it’s a story that could translate rather well, especially with the author being involved in its writing. Don’t know if/when I’ll actually see it, but I am interested. 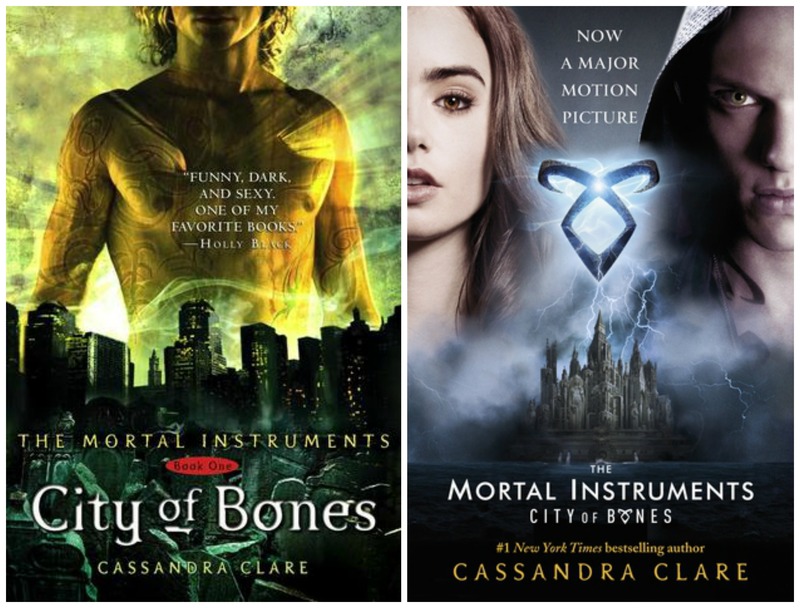 I’m a sort of casual fan of the Mortal Instruments books. I enjoyed the first three but the fourth lost me a little, and I haven’t read beyond there. I was originally pretty keen to see the film adaptation, but it soon became pretty clear that this was not such a great example of adaptations, and I didn’t make any effort to see it. Still won’t, most likely, but I might try the show. I actually only read The Perks of Being a Wallflower last week. Bit late to the party on that one. I wasn’t all that enamoured with it, to be honest – it fell into the category of ‘okay, but I’ve read better’. So obviously, when the film came out, I didn’t see it because I hadn’t read the book, but I thought it looked interesting. This falls into a similar category as The Fault in Our Stars movie – I might see it someday, but I’m in no rush to. 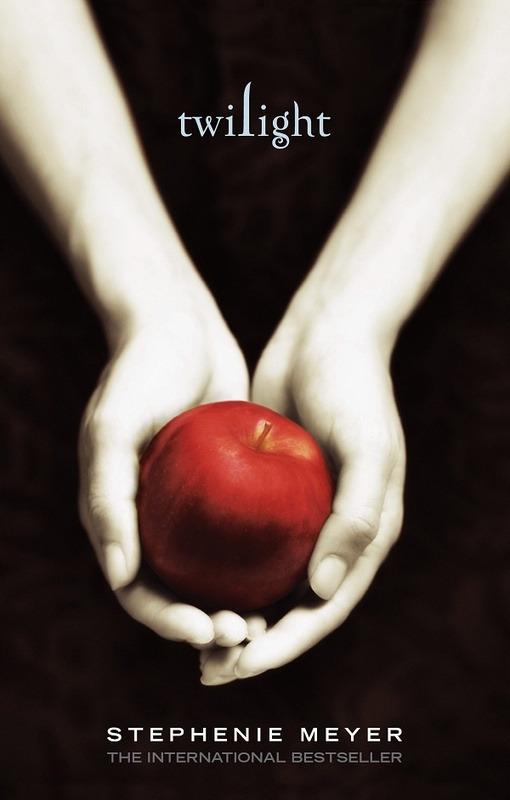 I’ve never actually seen Twilight, nor have I read any of the books. I remember the fuss that cam up when the film was first released, and how everyone was reading the books, but I wasn’t really interested, and then I just never got around to reading them. And, realistically, I doubt I ever will. This was a book I’d heard of for ages before I actually read it, but aside from the one time they played it on TV, I’ve barely heard of the movie. I liked the book but wasn’t crazily impressed by it, but I feel like if they were to show the film on TV again, I’d probably watch it. The reason I haven’t seen this pretty much boils down to the fact that I haven’t read the book so I haven’t seen the film. I’ve developed a bit of scepticism towards the dystopian genre, with everyone trying to cash in on the success of the Hunger Games, and I’d heard mixed things about these books. I actually studied The Great Gatsby in lit not all that long after the film was released. I really like the book, and I really want to see the film. The BBC miniseries of P&P is one of my true loves, and the reason Colin Firth will forever be the true Mr Darcy, but I’ve never actually seen the 2005 movie. I kind of don’t want to see this, because I love the miniseries so much, but I kind of do because, well, it’s Pride and Prejudice. So I’m a bit conflicted. If you’re reading this and have any strong feelings about any of the above films, feel free to let me know whether I should watch them or avoid them like the plague. 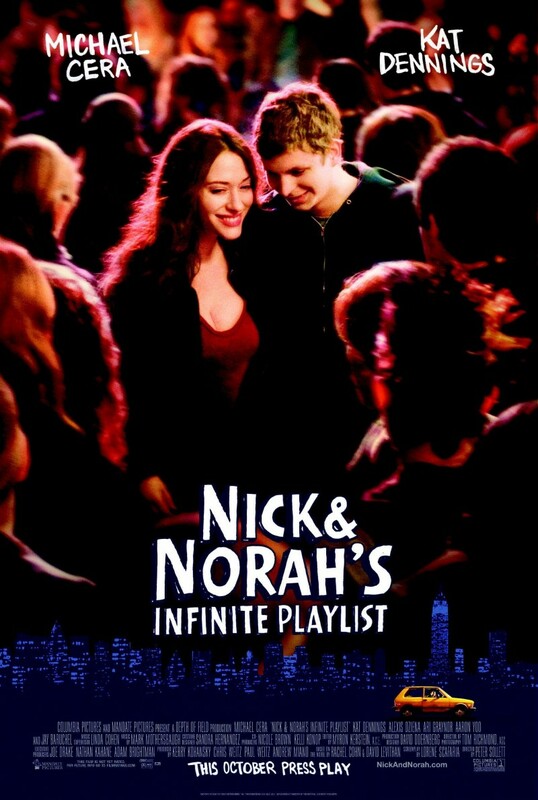 I pretty much felt the same about Nick and Norah’s Infinite Playlist as a book as you felt about the film. Okay but not spectacular. But I really want to see Gatsby. I would just skip the Maze Runner books. They were a total dud. The 1st movie was better than the book by a little, but I hear the second movie is better still so I have a small amount of hope. I love the BBC P&P series and I watched the 2005 movie and… it was alright. I wouldn’t even really put it in the same category as the series or the book. My main issue was it that it missed the main bloody line of what made me love their relationship “Had you behaved in a more gentlemanlike manner” was nowhere to be found. Its what made things happen for gods sake! Horrible choice on the movies part to leave it out. Yeah, that sounds a bit similar to a lot of what I’ve heard about the P&P movie, that it’s missing a lot of what really drives their relationship. Which is a shame, because like you said, that aspect of it’s so important. I kind of liked the Mortal Instruments movie. But, I also loved the books, so really I was just pleased with ANY kind of additional stuff! I thought the casting for Jase was awesome! I still haven’t seen the maze runner movie but I liked the books. My students said it was okay. The Great Gatsby and Pride and Prejudice are amazing. I love P&P and I actually watched it before reading the book! My TTT. The movies are definitely a good way to get into a lot of classics books – I watched The Lord of the RIngs before I read the books (well, the first one anyway. I didn’t get past the second one), and it made reading it a lot easier, so I wasn’t trying to get past both the language and the plot! I’m wasn’t very happy with the Great Gatsby adaptation, it just felt a little too gaudy for my taste. 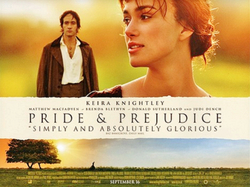 I adore the 2005 P&P movie and I don’t feel you have to choose between it and the BBC version, you can like them both like me. I haven’t read the Perks of Being a Wallflower, but the movie is really good, so I think you should give it a shot. The Mortal Instruments movie was terrible, terrible, I’d avoid that one, especially if you consider yourself only a casual fan. I’ve heard that there’s a 1950s-ish adaptation of Gatsby that’s supposed to be very good, but I can understand the recent one being a bit gaudy – it’s kind of Baz Luhrmann’s trademark, and from what I’ve seen of some of his other films it’s not for everyone. Also, just wanted to add that your profile picture’s awesome. I own that copy of P&P and it’s one of my favourite books in terms of covers. I think with Twilight I couldn’t read them objectively if I picked one up because of how much I’ve heard about them, so I’ve come to the decision not to read them, so that I’m not judging them based off everyone else’s thoughts. I’m kind of interested to see The Fault in Our Stars movie, if you think it was an improvement on the book. Doesn’t happen very often, and even though I liked the book, I didn’t see what the fuss was about, so I’ll definitely keep an eye out. The Great Gatsby adaptaion is actually really good except for ONE THING that is different from the book. It’s apparent within the first 30 seconds of the movie. I totally bought Leo as Gatsby yearning for Daisy. 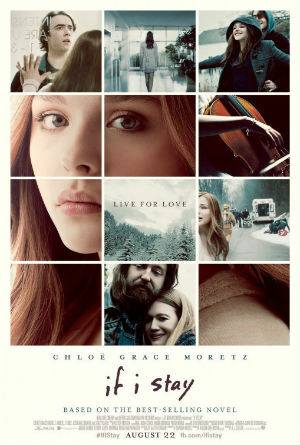 If I Stay is on Hulu, I think so you can watch it for free ! The Maze Runner movie is better than the book, so even if you feel a little ambivalent about reading the book, it’s worth seeing the movie!